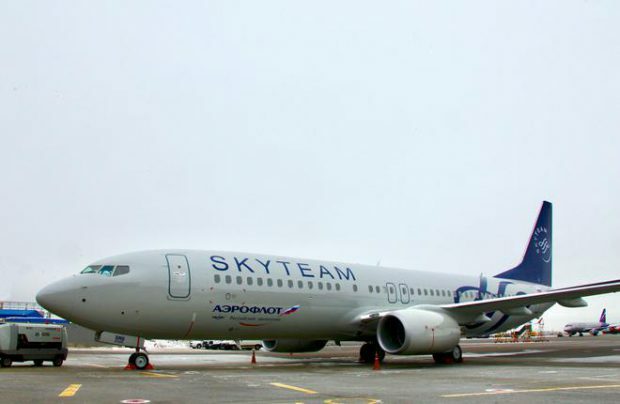 In the beginning of February Russia’s largest airline, Aeroflot, took delivery of a factory-new Boeing 737-800 in the livery, which celebrates the carrier’s membership in SkyTeam alliance. The new Boeing 737-800 has tail number VP-BMB. The aircraft left the assembly line in January 2017. This delivery is likely to be financed through a leasing agreement with Avia Capital Services (a part of state-owned Rostec corporation), same as the previous aircraft of the type. The lessor has an agreement with Aeroflot for delivery of 50 Boeing 737-800/900ERs. The new aircraft features two-class cabin configuration with 20 seats in business and 138 in economy class, which is Aeroflot’s standard for the type. It has already entered commercial service with the operator. According to Flightradar24, it has made several flights within Russia and outside (to Milan, Minsk and Almaty). As of February 1, 2017 Aeroflot has 20 Boeing 737-800s in its fleet, so the new aircraft is the 21st of the type. It also operates 70 Airbus A320s, 33 A321s, 22 A330 wide-bodies, as well as 15 Boeing 777 widde-bodies and 30 Russian-made Sukhoi Superjet 100 regional jets. Aeroflot has four more aircraft featuring SkyTeam livery – an A320, an A330, a Boeing 777 and a SSJ 100. The airline joined the gobal alliance in 2006 and is its only Russian member.